Here is another game published in a kids' magazine. 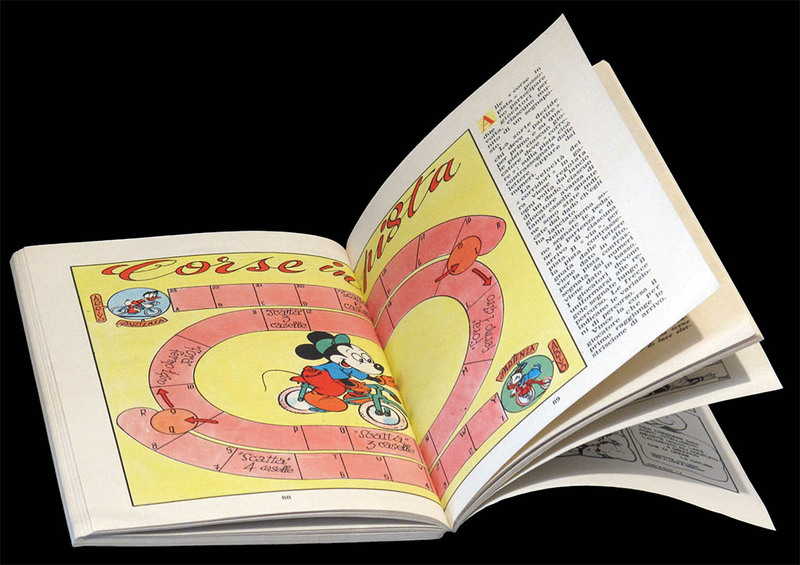 This one was published in the issue 241 of Topolino, which appeared on july 10th, 1960. In case you need to know, the game is in the pages 88-89. 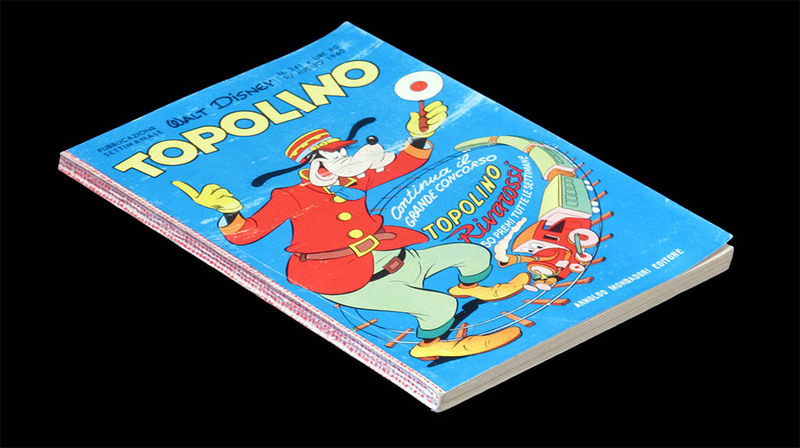 In case you do not know, Topolino is the Italian name of Mickey Mouse. The homonimous comics magazine first appeared in 1932, and has been published uninterruptedly since 1949. This magazine is quite small (it only measures 19 x 12.5 cms) and, as you can see in the picture above, the game is rather unplayable unless you do not mind seriously damaging it. Fortunately, you can find scans of the complete magazine online (check http://fumetti-segnalazioni.blogspot.com/) and print your own game. 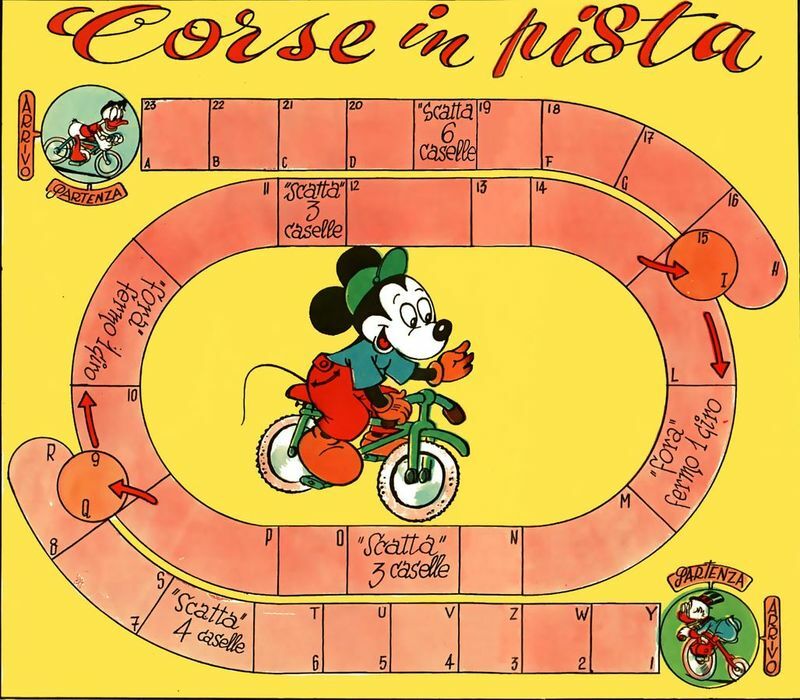 This very simple two-player game can be considered a track cycling game representing a pursuit race, since two cyclists start at opposite sides of the board and never meet. 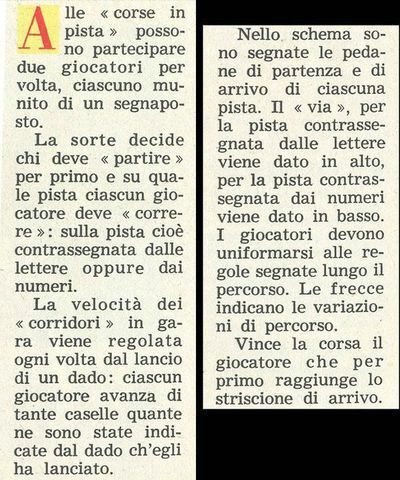 Although it is not properly so (cyclists start and finish outside the track), given the name of the game I will still put it in the track cycling games category. Of course, you may disgree. Grazie Roberto for discovering this game!